Home / Bengaluru / IPL / IPL 11 / IPL 2018 / IPL 2018 Match Preview / Kings XI Punjab / M. Chinnaswamy Stadium / Match Preview / Royal Challengers Bangalore / IPL 2018 Match 8 RCB vs KXIP: Preview, Prediction and Head to Head: Who Will Win? 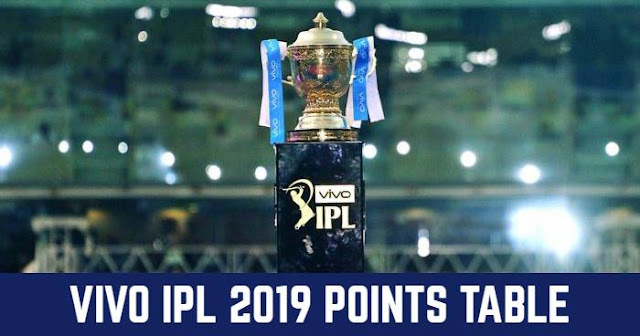 IPL 2018 Match 8 RCB vs KXIP: Preview, Prediction and Head to Head: Who Will Win? 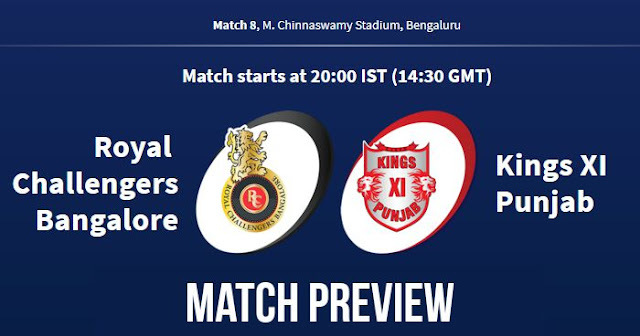 The 8th match of the 11th season of Indian Premier League (IPL 2018) will be played between Royal Challengers Bangalore (RCB) and Kings XI Punjab (KXIP) at M. Chinnaswamy Stadium, Bengaluru on 13th April 2018. As far as weather is concerned, the temperature will be around 28ºC. It will be cloudy match hours but little chances of rain as forecasted. This will be the first match at Royal Challengers Bangalore’s home ground in this season. Chinnaswamy is always a high scoring ground with high altitude and thin air helps it. As pitch report considered, new pitch is to be used, let’s see how it will behave. In IPL 2017, RCB has lost five matches at M. Chinnaswamy Stadium of six played. Royal Challengers Bangalore lost their first match of the tournament against Kolkata at Eden Gardens, Kolkata on 8th April. On the hand, Kings XI Punjab is coming with the win against Delhi Daredevils at Mohali. With Brendon McCullum, AB de Villiers, Virat Kohli (c) and Quinton de Kock (wk) at the top have the best top orders, which has the capability to destroy any bowling unit. Leg spinner, Yuzvendra Chahal will be the key bowler in RCB for this venue, as he has taken 35 wickets in 27 IPL matches. Royal Challengers Bangalore are likely to play with the same eleven. Kings XI Punjab is one of the strong team in IPL 2018. KL Rahul scoring 50 runs in 14 balls had given a strong opener. With Aaron Finch joining the team, he will be in the playing eleven. And KL Rahul and Aaron Finch will be the opening pair for KXIP. KXIP also have strong spin bowling unit with Ravichandran Ashwin and Axar Patel along with Afghan youngster Mujeeb Ur Raheem. Royal Challengers Bangalore and Kings XI Punjab have played 20 matches against each other out of which RCB have only won 8 matches while KXIP has won 12 matches. In last 5 matches, Kings XI Punjab has won 3 of them and Royal Challengers Bangalore have won 2. At Chinnaswamy, KXIP and RCB have played 9 matches, and Kings XI Punjab have won 5 matches and home team RCB have won 4 matches. Playing XI for KXIP: KL Rahul(wk), Mayank Agarwal, Karun Nair, Yuvraj Singh, Marcus Stonis, Aaron Finch, Axar Patel, Ravichandran Ashwin(c), Andrew Tye, Mohit Sharma, Mujeeb Ur Rahman.